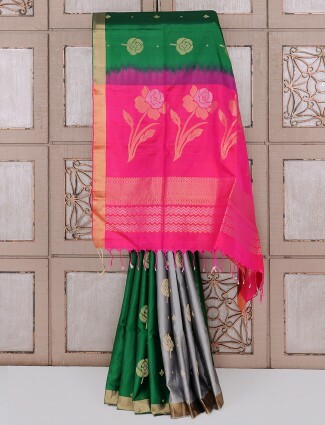 Half n half sarees are the most stylish version of sarees today. They come in styles of different fabrics, colors as well as embroidered concepts. 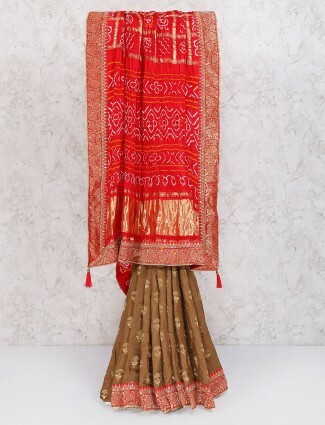 A perfect balance mixed styles, stitched together to give a different lower skirt drape look and a pallu look is what a half and half saree looks like. Designer half n half sarees collection in net, georgette, velvet, embroidered fabric and silk fabric is what trends today. 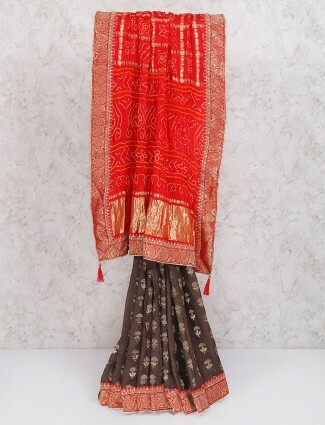 Stitched flared stitched skirts to stitched pleats is also new styles available in half half saree styles. These are best options for a wedding and festival occasion to add colors and styles to an outfit.